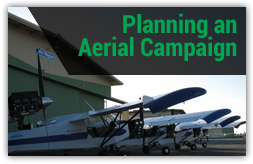 Aerial advertising presents one-of-a-kind opportunities to maintain a high-impact, visible presence with options that are sure to increase product recall and Van Wagner Aerial Media has provided brands with some of the most innovative aerial concepts at marathons across the country. Why Choose Aerial Media At Marathons & Races? On the ground, attendees line the streets to cheer on runners, wave banners, and make plenty of noise. Good luck trying to get your message across with all of that going on! 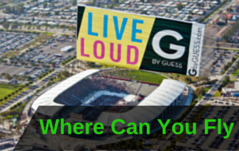 But with aerial advertising, your message is bound to grasp the attention of runners and fans on the ground below. The largest marathons across the U.S. attract tens of thousands of participants, most of whom spend several hours running 26.2 miles. Believe it or not, that’s actually a prime time to target athletes using aerial media. Compared to other aerial advertising opportunities, flying above marathons is easy. There are no flight restrictions at marathons, making them a prime time to get your brand noticed either via aerial banners, skywriting or advertising blimps! It’s simple to design flight itineraries that parallel marathon routes, and runners have a positive reaction to aerial advertising. Some say that it gives them something to focus on and helps take their mind off the race itself. Marathons are a great environment to target individuals with higher education. In fact, approximately 77.8% of attendees have received a college degree. Marathon demographics skew towards men at 58%; 70.8% have a household income over $75k, and over 60% are married. This important demographic is ideal for broad categories of brands. 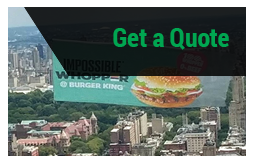 Whether you decide to choose aerial banners, blimps, sky writing, hot air balloons, or helicopter banners, your ad is bound to get noticed. To learn more about our offerings contact us today, or click below for your free quote! Interested in learning more? Download our guide below!